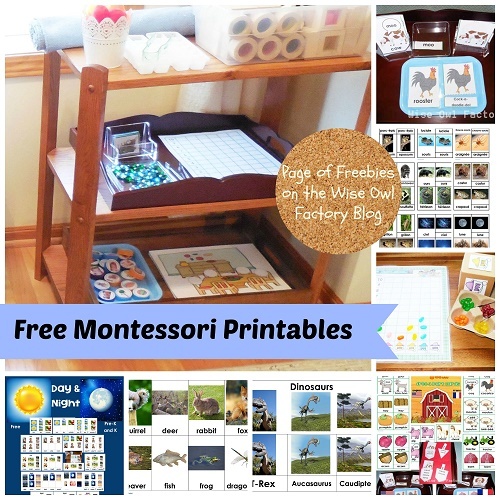 This page has free Montessori printable PDFs. 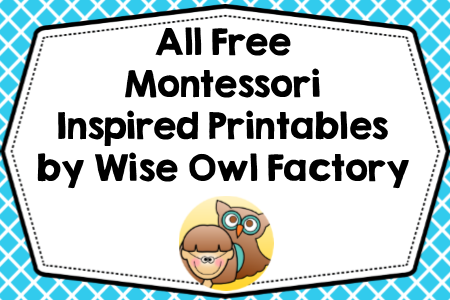 See even more free Montessori and Montessori inspired printables in our free eMember area. 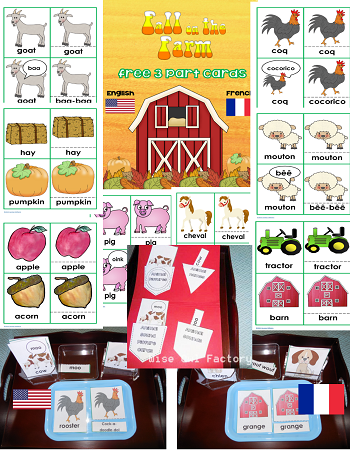 Free grammar farm printable for emergent readers may be found at this link. 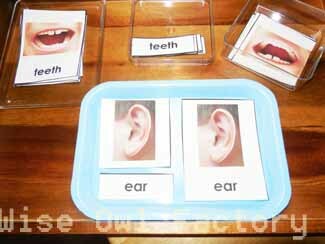 Would you like to learn how to make your own DIY 3-part cards or have some templates for making them? This blog post has the information and a YouTube Video. 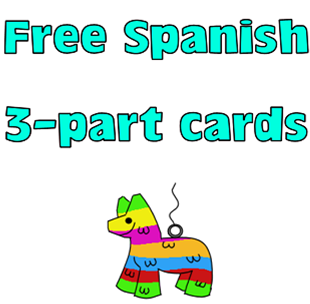 The Spanish 3-part cards may be used with our without the book Sofia Martinez: My Family Adventure. Read the blog post and find the download. 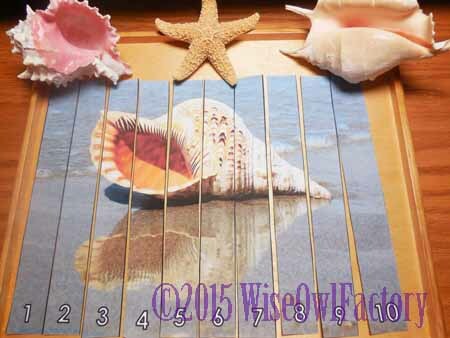 See the blog post at this link, where there is a shell skip counting and another free printable. 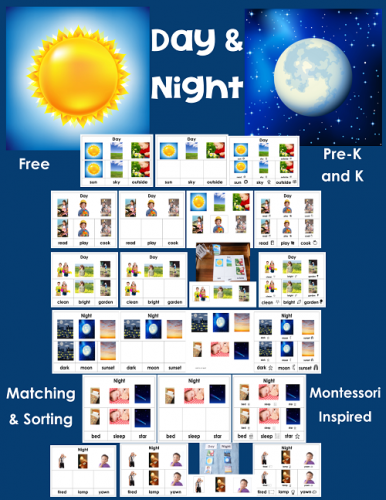 Free day and night sorting and matching cards, 33 pages, opens at this blog post, or on the on the Confessions of a Montessori Mom blog. 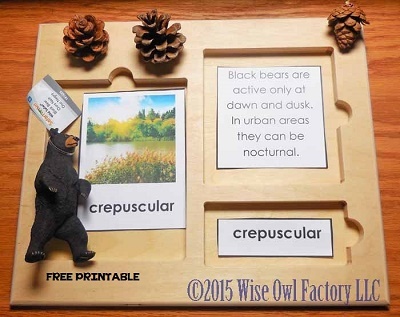 Find free black bear theme 3-part cards with facts and some activities for children at the blog post. 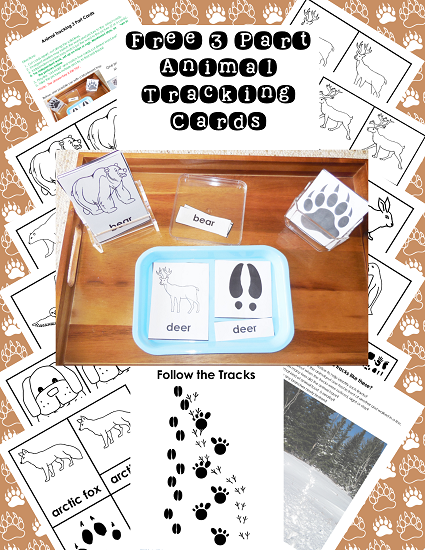 This is the link to the blog post with free 3-part tracking cards to download and more photos of the materials in use. 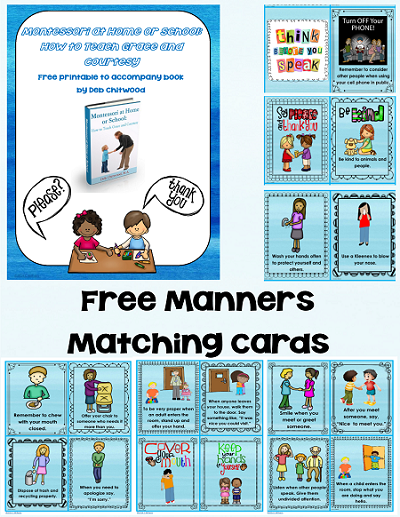 See the post about Deb Chitwood’s Grace and Courtesy book and download this freebie on the Living Montessori Now blog. 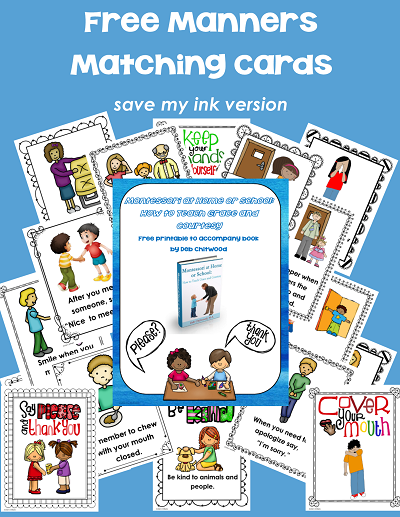 MANNERS MATCHING CARDS—full color version—download on the Living Montessori Now blog. 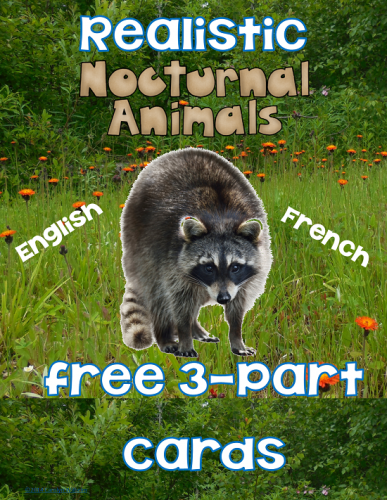 Free nocturnal animals 3 part cards in English and in French (separate sections) to download at the blog post. Photos of real animals are on the cards. 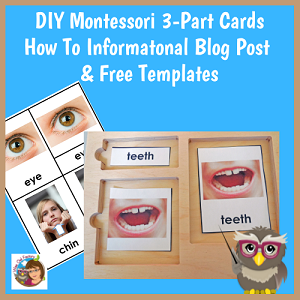 This 3 parts card printable is free in our free members area. 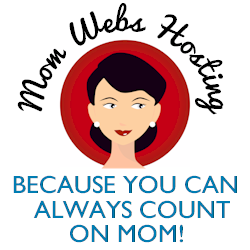 Please join us to download this and many more free printables. 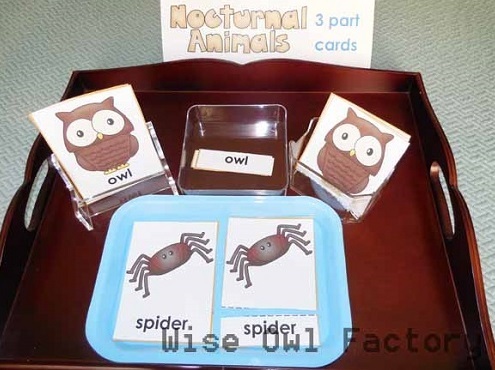 Free cartoon clip art version of nocturnal animals at this link for my blog post with photos of the materials in use and more information. 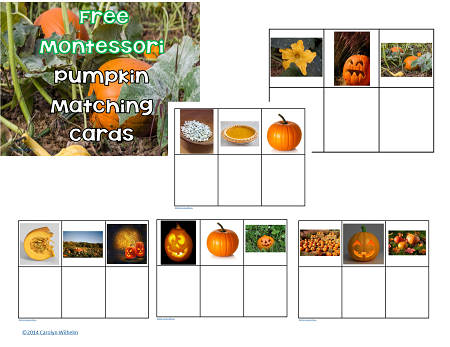 Montessori-inspired activities. 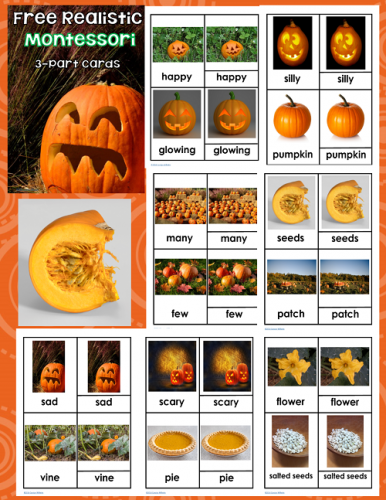 Separate sections for English and French cards. 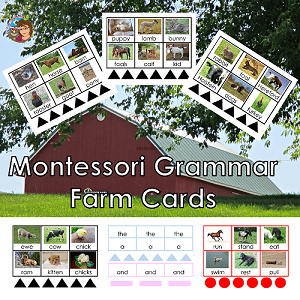 Free Montessori inspired farm animal 3 part cards, see the blog post with more information at this link. Separate sections for French and English. 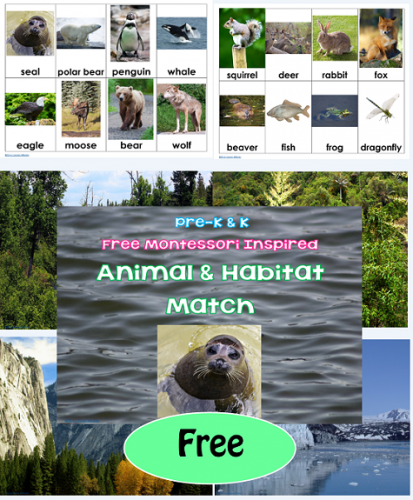 For free animal-habitat matching cards see the post with more pictures and information at this link. 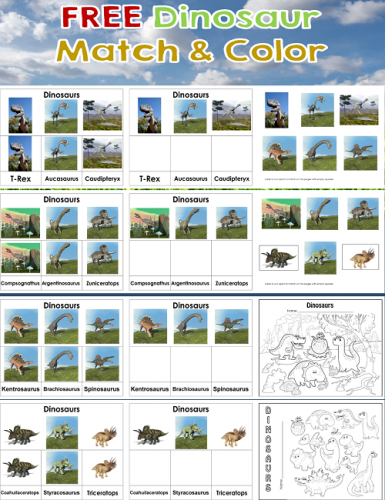 Free Montessori dinosaur matching cards, please see the post with more photos and information at this link. 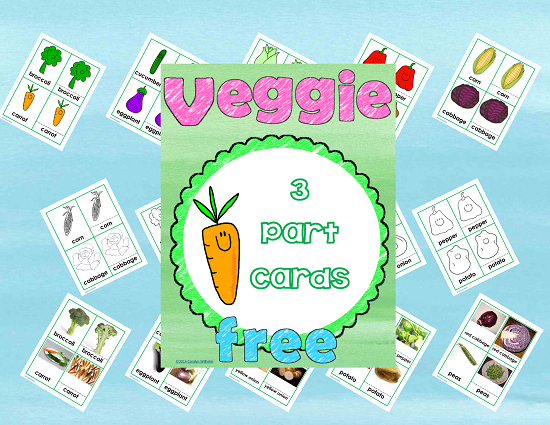 Free vegetable 3 parts cards, some pages have real photos. See also the blog post with more pictures and information. 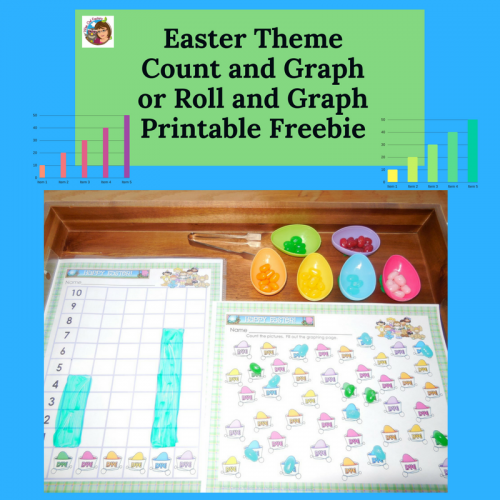 Free Easter graphing printable. 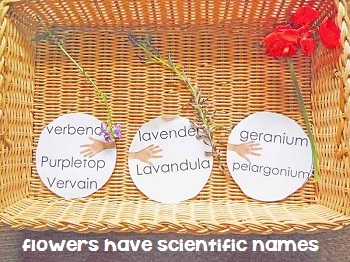 This printable is free on Teachers Pay Teachers, and includes photos of the materials in use. 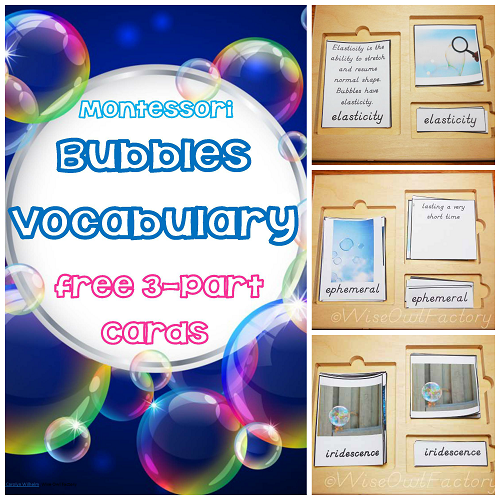 Free bubbles 3 part cards vocabulary and definitions printable, downloads at at the blog post, also. 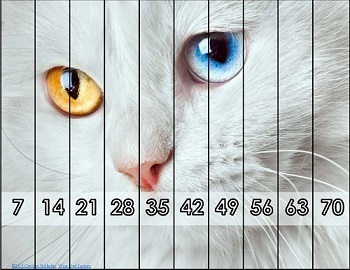 Want to pin for later? 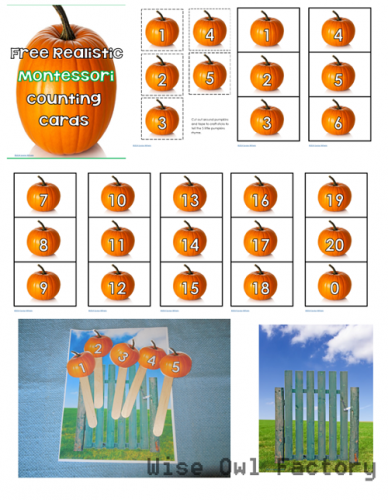 This is my Pinterest board where I post pins for these Montesssori and Montessori inspired freebies.